passed by a Bench Justice R.V. Raveendran, Justice A.K. Patnaik and Justice H.L. Gokhale. A copy of the Judgement can be found here. 1. SA/GPA/WILL transfers cannot be recognized as deeds of title, except to the limited extent of section 53A of the TP Act as these are transactions, where a purchaser pays the full consideration for acquisition of an immovable property, but instead of entering into a Deed of Conveyance, enters into a SA/GPA/WILL for acquiring the right, title and interest in the immovable property, either at the instance of the vendor or at his own instance. 2. The modus operandi adopted in such SA/GPA/WILL transactions by the vendor or person claiming to be the owners of the immovable property is to (i) enter into and execute Agreement for Sale / unregistered General Power of Attorney / Will / Agreement / Deeds/ Documents/ writings etc. ; (ii) hand over / deliver quiet, peaceful and vacant possession of the immovable property to the Purchaser; and (iii) receive the Consideration as mentioned in the Agreement and to fully discharge the Purchaser from his / her / their / its obligation of payment of the agreed Consideration without payment of stamp duty and going through the process of registration. (i) An Agreement of Sale by the Vendor in favour of the Purchaser confirming the terms of sale, delivery of possession payment of full consideration and undertaking to execute any vesting document as and when required in future. (ii) An agreement of sale agreeing to sell the property, with a separate affidavit confirming receipt of full price and delivery of possession and undertaking to execute sale deed whenever required. (i) Any contract of sale (agreement to sell) which is not a registered deed of conveyance (deed of sale) would fall short of the requirements of sections 54 and 55 of The Transfer of Property Act, 1882 (“the TP Act”) and will not confer any title nor transfer any interest in an immovable property (except to the limited right granted under section 53A of the TP Act) for defending possession. According to the TP Act, an Agreement of Sale, whether with possession or without possession, is not a conveyance. Section 54 of TP Act states that sale of immoveable property can be made only by a registered instrument and an agreement of sale is not a document of transfer and does not create any interest or charge on its subject matter. (i) An Irrevocable General Power of Attorney by the vendor in favour of the purchaser or his nominee authorizing him to manage, deal with and dispose of the property without reference to the vendor. (a) It is revocable or terminable at any time unless it is made irrevocable in a manner know to law. (b) Except in cases where power of attorney is coupled with interest, it is revocable. (c) Even an irrevocable attorney does not have the effect of transferring title to the grantee. (d) An attorney holder may however execute a deed of conveyance in exercise of the power granted under the power of attorney and convey title on behalf of the grantor. (e) A power of attorney is creation of an agency whereby the grantor authorizes to do the acts specified therein on behalf of the grantor, which when executed will be binding on the grantee as if done by him. A power of attorney is a document executed for convenience of the grantor as well as the grantee as may be contemplated in transaction. A will bequeathing the property to the purchaser (as a safeguard against the consequences of death of the vendor before transfer is effected). 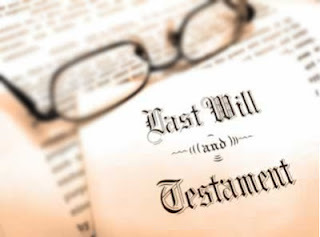 (i) The two essential characteristics of a will are that (a) it is intended to come into effect only after the death of the testator and (b) is revocable at any time during the life time of the testator. (ii) Section 69 and 70 0f the Indian Succession Act, 1925, states that, if the testator who is not married, marries after making the will, by operation of law, the will stands revoked. (iii) Registration of a Will does not make it any more effective. (a) Vendor with imperfect title who cannot or do not want to execute registered deeds of conveyance. 5. A SA/GPA/WILL transaction does not convey any title nor create any interest in an immovable property. The observations by the Delhi High Court, in Asha M. Jain v. Canara Bank - 94 (2001) DLT 841, that the “concept of power of attorney sales have been recognised as a mode of transaction” when dealing with transactions by way of SA/GPA/WILL are unwarranted and not justified, unintendedly misleading the general public into thinking that SA/GPA/WILL transactions are some kind of a recognised or accepted mode of transfer and that it can be a valid substitute for a sale deed. Such decisions to the extent they recognise or accept SA/GPA/WILL transactions as concluded transfers, as contrasted from an agreement to transfer, are not good law. 6. The Hon’ble Supreme Court has enunciated that transactions in the nature of SA/GPA/WILL transfers cannot be relied upon or made the basis for mutations in Municipal or Revenue Records. What is stated above will apply not only to deeds of conveyance in regard to freehold property but also to transfer of leasehold property. A lease can be validly transferred only under a registered Assignment of Lease. It is high time that an end is put to the pernicious practice of SA/GPA/WILL transactions known as GPA sales. If S.A./GPA are entered before the date of judgement day, they may be relied upon to apply for regularization of allotments/leases by Development Authorities and that if the documents relating to ‘SA/GPA/WILL transactions’ has been accepted acted upon by DDA or other developmental authorities or by the Municipal or revenue authorities to effect mutation, they need not be disturbed, merely on account of this decision. 8. 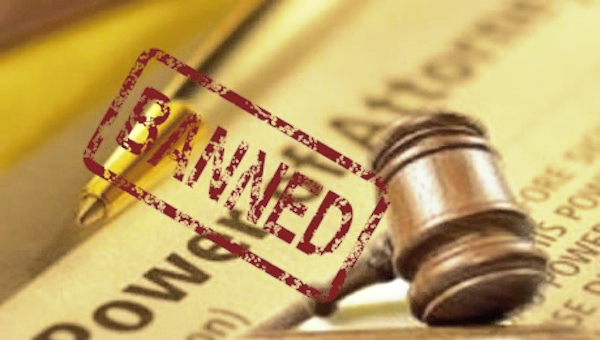 The Hon'ble Court has categorically stated that its observations are not intended to in any way affect the validity of sale agreements and powers of attorney executed in genuine transactions. For example, a person may give a power of attorney to his spouse, son, daughter, brother, sister or a relative to manage his affairs or to execute a deed of conveyance. A person may enter into a development agreement with a land developer or builder for developing the land either by forming plots or by constructing apartment buildings and in that behalf execute an agreement of sale and grant a Power of Attorney empowering the developer to execute agreements of sale or conveyances in regard to individual plots of land or undivided shares in the land relating to apartments in favour of prospective purchasers. In several States, the execution of such development agreements and powers of attorney are already regulated by law and subjected to specific stamp duty. The Court has observed that the judgement is not intended to apply to such bonafide/genuine transactions. 1. Since operation of the judgement is to be effective prospectively, Central Government should come out with Amnesty Scheme for payment of stamp duty and registration of documents of such transfer where the title has not passed to real purchaser/beneficiary. 2. Documents executed but not registered within prescribed period should be allowed to be registered after expiry of the prescribed period of 8 months, as stated in Section 23 of the Registration Act. Normally such documents are annexed to Deed of Confirmation which is registered. However, the Registrar invariably affixes stamp "Annexure Not Registered" which adversely affects the title. The Sub-Registrar should be instructed to register the original (duly signed) unregistered documents after the expiry of prescribed period without requiring the execution of Deed of Confirmation by both the parties provided that respective parties or their constituted attorney admits the execution before the Sub-Registrar. Where the Seller/his constituted attorney is not available for admitting execution before the Sub-Registrar, such documents should be allowed to be registered with the Deed of Confirmation / Declaration by the Purchaser only. 3. Where a Power of Attorney is registered assigning a power to the Constituted Attorney to enter into a Conveyance on behalf of the grantor then, the Conveyance can be executed by the Constituted Attorney on behalf of the owner in favour of the purchasers. 4. Where Agreement for Sale is also registered, Conveyance can be executed only on Rs.100/- stamp paper to perfect the title and transfer the land revenue records in the name of the Purchaser. This will not be applicable to the cases where documents are not required to be compulsorily register u/s. 17(1)(b) of the Transfer of Property Act. Further this will not be applicable in case of Sale / transfer of flats, offices, units in registered co-operative housing society or limited company, as in such cases the title passes upon execution of a Agreement for Sale alongwith handing over of possession of the Premises and transfer of share certificates by the Society or the Limited Company in favour of the Purchaser. The ratio of this judgement will not apply to transactions where the Developer has commenced the development work on the project in pursuance of unregistered Development Agreement. Justice R.V. Raveendran, Justice H.L. Gokhale and Justice A.K. Patnaik: Coram of the Suraj Lamp & Industries Pvt. Ltd. Vs. State of Haryana & Anr. hello sirs, S made an agreement to sell his property to G for rs.60 lakh and received 10 lakh advance on 03/03/2011 with some conditions like last period for regn. was 3 months from the date of agreement, after that the agreement stands invalid and if G fails to pay balance money and finish the deal with in the agreed period he would lose the advance money and if S refused to accept the balance money and finish the deal, buyer has to go to court and pay the balance amount and ger the property registered . and after 5 months of time no regn. performed. S returned 10 lakh advance money to G. but failed to collect the unregistered sale agreement. after that no communication served between them. after nearly one year. G tried to occupy the property and then S sent a letter mentioning details of retuned money and demanded old agreement. now G occupied the property and by giving some money to tenent. with out the concent of S tenent hand over the property to G and blocked S to enter the building and filed a case for regn. in dec 2012 and deducting the money given to tenent from balance amount of 50 lakh. now what would S do? he is not interested in that deal. wants to occupy his property. is it possible to forfeit the advance amount. Your matter is very straight-forward. As per the Agreement, Mr.S had every right to forfeit and retain the earnest money of Rs.10 lacs since Mr.G failed to pay the balance sum within the stipulated period of 3 months. The Agreement would stand automatically cancelled. Despite this, at his own option and out of good faith, Mr.S could even return the earnest money to Mr.G. I hope that Mr.S took a receipt from Mr.G while returning this sum. After this, the Agreement would stand automatically cancelled. Mr.G would have no more rights under the old Agreement and in the said property. Any attempt to forcibly occupy the property would be illegal. Since Mr.S is still the owner of the said property, Mr.G cannot deal with the tenants without the permission of the Landlord i.e. Mr.S. My advise to Mr.S would be not to accept any sum from Mr.G which be construed as revival/continuation of the Old Agreement or creation of a fresh Agreement. Since Mr.G has already filed a case, Mr.S will have to deal with that and simultaneously file eviction proceedings against Mr.G. Please explain to us the nature of both the documents entered into by you so that we can best solve your query. 1) how long (duration) is a sale of agreement valid ? 2) Mr.Buyer has entered into sale of agreement with Mr.Vendor for 10L rupees. Mr.B paid partial amount of 5L and then would like to withdraw or cancel this sale of agreement and like to get back the payments from Mr.V. What is the procedure ? and can we enter into a payment agreement that Mr.V will pay Mr.B the amount in instalments via cash, etf or cheques ? and whether this new agreement can be enforceable if Mr.V doesn't return full payment back ? Dear Sir, I have a query and will be grateful if you can share your views on the same. I am the 3rd owner of a flat in a registered CHS and staying there since the last 18 years. The 1st owner who purchased the flat from the builder has it registered but the 2nd owner and myself have not registered the property (stamp duty has been paid in all the 3 transactions). Will there be any difficulty in case I find a buyer who wishes to avail of a bank loan, since the property is not registered?. Please suggest a legal solution to my problem. Thanking you in advance. I am interseted in selling property in an area where registry is not being done (unauthorised colony). The buyers and their broker are comfortable with Notarized GPA/Agreemnt to sell/Will method, knowing fully that registry is prohibited and these sales are not valid as per SC judgement. My question is: Can I declare the consideration as Income from Capital gain thru sale of house property for IT return. I am a registered agreement to sale of an immovable property holder. After 70 % of work with 70 % payment the vendor absconds and he is in police custody and his business is going to liquidation. In this case can I take the possession of the property after doing balance work by myself. Since you have a registered Agreement for Sale, I would say that you prima facie have a good title on the property. Depending on the terms of the Agreement for Sale, you can enforce the Agreement subject to making the balance 30% payment in favour of the Vendor. But you must ensure that the property is not attached by Court due to liquidation. Also assuming that Vendor is in police custody and since his credentials are in doubt, you must also ascertain that he has not sold/ agreed to sell the property to other person/s. Issuing a public notice for the same is a good way of finding this out. I am in possession of property since few years and I am a beneficiary of tat property through Unregistered Will. Can I sale the property lawfully and legally without getting the Probate Certificate. And how does the judgement mentioned above affects me. The father (who is no more), the Settlor, had settled a house absolutely in favour of his wife, the Settlee, out of natural love and affection through a registered Settlement Deed some 30 years ago. Query 1: Since there was no financial consideration involved, can we say that the Settlement Deed amounts to a Gift Deed giving absolute and sole right over the property to the wife? Later she sold this house and bought another house and again sold this to buy another land on which she constructed a house. The last house was recently sold by her through a registered sale deed to Mr. M.
Recently her son has gone to court against the mother and Mr. M asking for a partition deed on the property and cancellation of the sale deed to Mr.M, claiming it to be ancestral property in as far as his father had settled a house in favour of the mother some 30 years ago. He has produced a seven year old unregistered "undertaking" presumably given by his mother stating that she authorizes him to construct a house in a part of the land and that she relinquishes all her rights on that part of the land. Query 2: What is the legal status of this unregistered "undertaking" given by the mother to her son? The mother is currently not available to clarify the situation. Kindly enlighten in view of Suraj Lamp vs Taate of Haryana case. case judgment or otherwise. Query 3: What is the overall merit of the case? 1. (a) No. Settlement Deed is not same as Gift Deed. A duly stamped and registered Gift Deed is a proper title document. (b)Whether this property is "ancestral property" or not would depend on the facts stated in the court case. 2. A registered "undertaking" is not a title document and would not amount to transfer or release of property, regardless of what the Suraj Lamp judgement would have to say. 3. It would be wrong for me to give you a false impression of the merits of the case without knowing the entire facts of the matter. 'A' made an unregistrad agreement to sell his property to B for rs.10 lakh and received 30000 advance on 20/05/2013 with some conditions like last period for regn. was 10 days from the date of agreement, if 'A' refused to accept the balance money and finish the deal, is 'Mr.A' can go to court and pay the balance amount and get the property registered? I could find the original Sale deed copy and checked the EC which show him as owner, but recently when I visited the plot there was a house built on the plot, and when enquired house owner is showing a agreement of sale signed by my father. But how to validate that document,when Original Sale deed and EC is in my pocession. Kindly help in this regard, how to approach this matter. Could you please tell us where this property is situated, since Property Laws differ from State to State. can an unregistered power of attorney can deal with immovable property of value a few lakhs of rupees.the power of attorney is also not attested by sub registor.kindly advise. A gift deed and transfer letters were signed and were submitted to the society for to transfer the share certificate and flat in my wife name in 1996 by my father, accordingly it was transferred by the society thereafter my father deceased in 2012 recently we have came to know that we should have registered the gift deed. please let us know that now what is to be done and how? We are two brothers and one sister. My sister got married 02.12.1984. My expired 2 years back and he has written will (not registered) in my name and my brother's name stating that my sister got married (for which my father spent) and her matter ins not necessary in this will. He has devided his property (2acres of agricultural land) to our brothers. My sister demanded Rs. 50,000/- from each (my brothers) while my parents were alive. We said ok and now aftermy father's death she is alsing equal share. Now we are prepared to pay more than what she demanded previously since she is our sister. Is she eligible for equal share?? We tried to compromise her but in vain..
We planned to sell our independent house in Bengaluru, where we are living and to this effect found a buyer. Post the negotiations and agreeing on a final price, we had a agreement for sale drawn up and had the same registered at the Sub Registrar's office. The Agreement for sale had a validity of 4 months which was mentioned in the agreement. During the 4 month period there was no exchange of money. Now that the agreement has passed the validity period of 4 months and the buyer still dilly dallying about paying any money, we are thinking of selling the property to any other prospective buyer. My question is can we do so? If so, do we have to get the registered agreement cancelled at the sub registrar's office or can we do the sale without cancelling the registered agreement? Does the Sub Registrar's office automatically consider the document null and void since the sale has not happened in the stipulated period? in my case also same General power of attorney(to builder to built a apartment), join development agreement (to sell apartments on their each shares)also not registered. All the govt bankers are approved to provide loan (includes SBI,Syndicatebank). its ok to buy the flat which GPA and JD are not registered ? i forgot add one more point the lnad was purchased by two persons and GPA (not registered ) given same two persons to builder and same for JD also. So please advice to can we buy that flat or not. What are the problems will come if GPA and JDA are not registered ? My father had purchased property from his friend. only sale of agreement has been done, property is not registered on my father's name. We have paid home loan and have clearence letter from Bank. We are in possession of flat more than 10 yrs. We are paying property tax and electricity bill on our name.My father is no more and now his friend claims the property. What can we do? what are the chances to win the case if we go to court. I would advise you consult a local lawyer and first ask for an injunction on the illegal construction. Then you can put the other title documents before the court to prove your bona fides. Quite a useful post. My uncle is looking to buy such legal practices for sale as they seem to know how to succeed in their profession. Do you think it is worth the investment? this is a matter regarding my family property. one of my uncle got separated from our family during year 2000. he has taken his portion of property in terms of as per the valuation of property at that time. during the separation everything was notarised in front of two witness that he will not further claim any thing from property but after my grandfathers sudden death when we applied for the nomination of the property he filed case against us and now claiming for the property on the basis that the notary is not registered. is there any solution in this case please help me out in this case. All property transfer transactions even family arrangements are required to be compulsorily registered and not just notarized. However, this also depends on the specific facts of each case and place where the property is located. Since I am unaware of the facts in your case, I would advise you consult a lawyer to contest your case. I read this blog it has nice and useful information. It has a lot of info about property and its business. I am also doing the business of property. I like this business and want to get success. I will provide all the luxuries and quality in the properties. The builder constructed this building using complete FSI prevalent at that time and all three floors are free hold property with proper registered documents.. The terrace and driveway are for common use and it also states that vendees do not have any right to construct on it..also it is no where in the agreement that vendor has any right to construct in case FSI is increased in future.its just for common use. now we 3 families want to redevelop the property using additional FSI,creating parking in stilt(a major prb in delhi's congested streets), put a lift for elderly, have a water proof terrace etc. is there any way judiciary can interpret agreement and give us permission to execute the project. even though in ambiguous clause-if builder has any rights on terrace-he still wont get permission to use additional FSI for a new floor as he cannot satisfy equivalent parking space norms. This is so nice post!!!!!!!!! Dear Sir, I have a flat in Telangana state which is not registered and looks like it will be never be registered due to the conflict between landlord and builder. My uncle has nominated my name in the will for an office premises. However, to my utmost shock there is a person claiming that my uncle had sold that office premises to him by signing the agreement when he was in the ICU and he has remitted the proceeds to him. This agreement is not registered. Can I stand to claim and get what is rightfully mine? Parents purchased landed property during ULC regime. The vendors were not able to do the conveyance of the property as they had more than 500 sq mtrs. The property was sold by executing Agreement for sale and for 30 years it was under the peaceful possession. Parents executed and registered Deed of confirmation and attached the agreements as annexure which are not registered. The district courts have observed that the names could not be transferred as the agreement is not registered and is one sided. Please let me know How to solve the matter. I had registered agreement of my shop in 2012. We agreed for payment As per builder and my mutual understanding of payment which i demand from builder for my Contractor job. But When time came of handed over of shop in 2014 they demanded me payment, they told me due breakup of partnership of builder , i should manage payment from second partner. And they started playing game. Before one month ago i know that they cancelled my shop by giving declaration letter. Can it be possible? How they cancel property registered agreement without my concern? 80 % amount of payment they have already taken? Than what can i do know? My father had purchased a flat in the year 1984 and the agreement was done on a Rs 5 stamp paper as stamp duty was not applicable nor was it registered. If we want to sell the flat now,wear will be the procedure? Kindly guide us. I have entered into an agreement for bayana of an immovable property on non-judicial stamp paper of Rs. 50 where in there is an agreement to sell the property and specify therein the earnest money which was paid , whether this agreement for bayana is valid or not if not then what should I do if other party challenge this in a court? We have done a joint development with a builder for which the JDA was not registered. The project is completed and we have transferred the builders share through a sale agreement with no consideration from the builder. A lady with a house in her name died in the year 2000. She had 1 son named "x" of age 40yrs now married and had 2 minor sons. Mr "X" made the non-registered sale agreement in 20Rs document for Rs 20000/- as advance in the year 2005, 4 blankly signed bonds, original house document, original patta with third person "Y". But the house was not sold till nov 2015, as he had not taken the death certificate & Heir certificate. I took initiative and received the death certificate & heir certificate to Mr "X" through court. And i bought the house for 2.5l with copy of patta & chitta, Encumbrance certificate for 30 yrs on dec 2015. Now Mr."Y" threatening us that he will file a case against me & seller with non-registered sale aggrement in 20Rs document for Rs20000/-, 4 blank signed bonds by Mr."X", Original House Document, Original Patta of house. Pls advice a solution, will he be able to file case. Property was in tamilnadu. I'm planning to purchase a property from my cousin. The said property cannot be registered because of legal issue with residential layout. Since the nature of issue is minor he was given building plan approval and SBI loan. He fell into lot of debts and he wants to sell now and I want buy the property. I'm planning to execute a sale agreement along with GPA. Is that legal approach ?. Any guidelines do so ? please help. d) 90 % of purchase price has been payed to vendor, balance to payed at the time of registration. e) purchaser has entered into a loan agreement with a public sector bank, from whom the installments have been disbursed. f) vendor has not yet executed registration of property , nor returned purchase price. what can the purchaser do in this case? I have a flat in Goa,it was given on leave and license(11 months which is over) and the same person wanted to purchase it.we gave him POA(it's a notarized one)which is now revoked as the person is trying to cheat us and I believe he has already entered into an agreement with a 3rd party,And is not ready to handover our flat key and has renovated the flat without our concern.What should we do next,should we got to the cops and break the lock. I want to purchase a 3 bhk property in Pune , but the apartment is not formed. The property is 10 years old. Its a society of plot holders where the builder has developed a building having 8 flats. The Apartment is not registered. Even the flat owner which I am going to purchase has not taken completion certificate. But he is having registered Documents ( Purchase Agreement ) , Commencement certificate, Sanctioned Plan. The owner applied for Completion certificate to Corporation but it is yet to receive. What should I do ? Should I purchase the said flat? Are the above documents sufficient to get an clear title for the said flat. ?